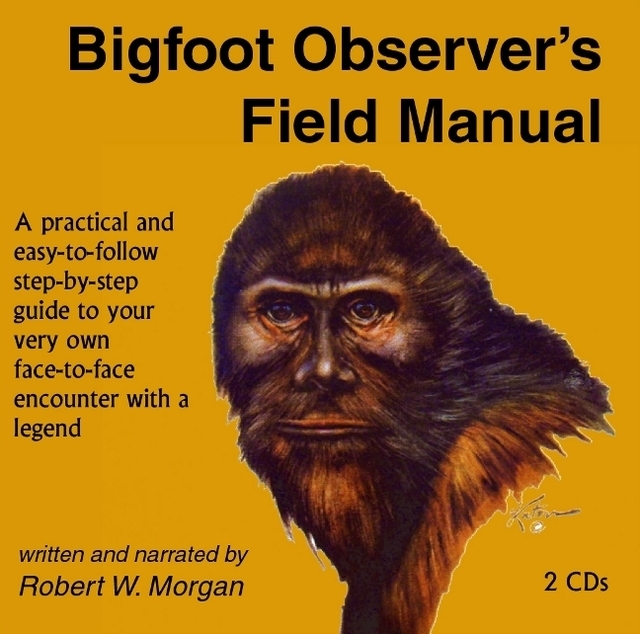 Listen to Robert Morgan on the CD version of the Bigfoot Observer's Field Manual as he teaches you how to have a personal encounter with a Forest Giant (Bigfoot). Yah-ta-hey. Welcome! May I assume that you are interested in Forest Giants and wish to arrange your very own peaceful encounter? I won't tell you that it is easy. Nevertheless, it is possible and even probable -- but only if you follow to the letter the systematic suggestions contained within this manual. Take care, my friend. This journey is not for everyone. It is best taken by special people who wish to contribute something positive toward making our world a better place, not only for the human species, but also for every living thing. If you choose to proceed, as kindred adventurers you and I must form an immutable bond. If you ask that, I assume that you sincerely wish to stand face-to-face with that wondrous legend some call the Bigfoot or the Sasquatch. In return, you may assume that I can and will share certain things of value that can assist you to achieve that goal. My sole request is that, in exchange for my counsel, you must promise on your most sacred honor that you will not attempt to kill, capture, harass, or to interfere in any way with the lives and the welfare of these gentle Giants. Words of caution are in order. To be successful you must remain true to that promise. If you do not, things might not turn out the way you wish -- and turn out in ways you cannot imagine. However, by shining the light of good intention into the deepest recesses of your own mind and soul, you may soon be poised to uncover the truth about many, many things -- and your life will forever change. Robert W Morgan's Bigfoot Observer's Field Manual does just what the subtitle says, and should be of interest to cryptozoologists in or planning expeditions in North America. Whether Morgan will ever have Louis Theroux or Jon Ronson in tow is another matter, but a nice thought.